Weather is the main determinant of a good season for horticulture, particularly as enthusiasm in New Zealand’s main export markets continues to grow. As late winter transitioned into early spring there was plenty of moisture, followed by a period of warm, dry weather, so for growers in most of the country, conditions were favourable. A late frost hit a few districts in mid-October, threatening damage to new grape growth in Wairarapa and Marlborough, and summer fruit crops in Central Otago. However, this was generally insignificant, particularly as most growers could deploy various methods of frost fighting, ranging from helicopters and wind machines, to water and fire pots. This weather minimised disease pressure, reducing demand for additional disease management and leaving most growers able to rely on their standard protection programmes. Cooler conditions in several districts delayed flowering and pollination, with bees working longer than normal in avocado blocks. With climatic conditions generally favourable, farmers were free to put crops in the ground without pressure. In the field crop regions, Pukekohe, Hawke’s Bay, Manawatu and Canterbury, vegetables were planted out and growers made good progress establishing their crops. This summer is forecast to be dry, particularly on the East Coast, so growers are bracing for what those conditions bring. Horticulturists with access to water will be making sure they are prepared, and were starting to dry out during October, before plenty of rain late in the month put plans for irrigation back on hold. Further rain in these areas would still be welcome. With interest rates favourable and the long-term prognosis for many New Zealand horticulture exports positive, ongoing horticulture development is proceeding in several areas, particularly for pipfruit and avocados. 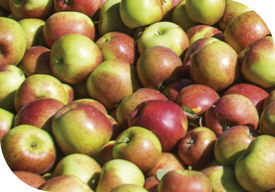 Recent investment includes post-harvest facilities for apples, such as packhouses and cool store facilities, in Hawke’s Bay and Tasman. Grapes are also an ongoing development story, though to a lesser degree than in recent seasons, with the establishment of vines on bare land sitting at about 40 per cent of the level it has been.